Baking Lab is not about one single person. Instead, the organisation is a place with a collective mindset, designed to bring together and remind young people that they are creative beings who can explore, learn and inspire other people to celebrate life. All this is based upon two key pillars of teaching and learning that seek to link an ancient science to young academics from a whole host of backgrounds. How is this translated, what is this ancient science you may ask? 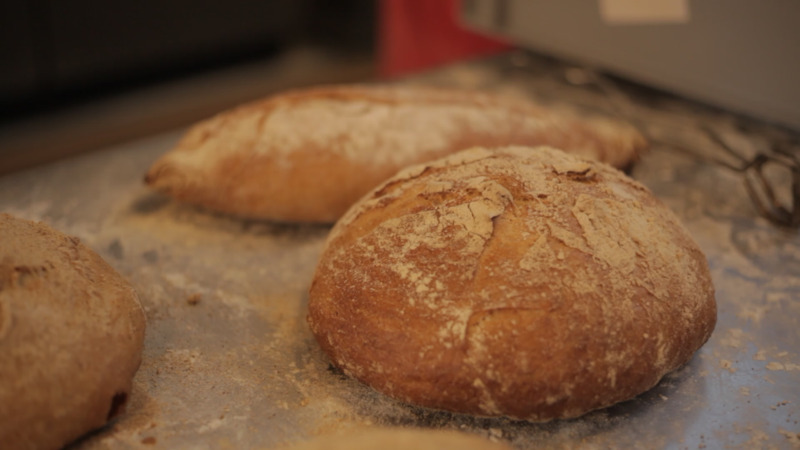 Well, that's simple, Baking Lab revolves around the most humble of foods; bread. 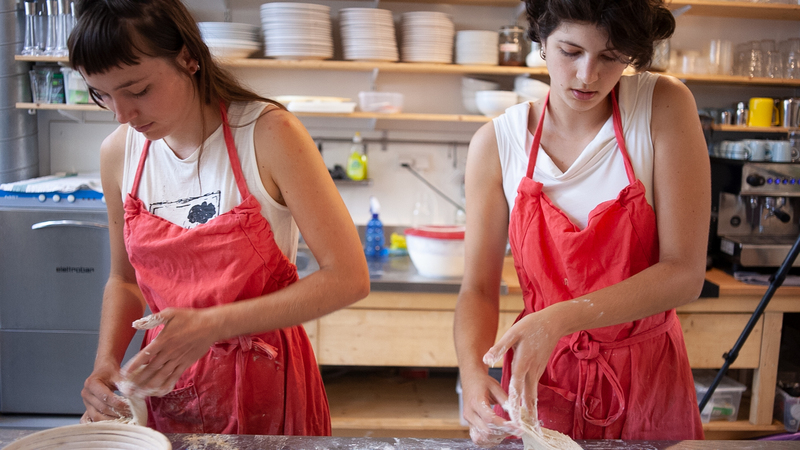 We caught up in Amsterdam with Elise de Jong, one of Baking Lab’s young talents who joined to add her knowledge and learn more about the science of baking bread. Hi Elise, real bread is back, right? Umm... well yes, as long as authenticity is back in a world that's going faster and faster. In a society where everything is digital and automatic, where there is a disconnection with how the things are made, there is an urge and desire to do things with our own hands. That's probably one of the reasons why baking is back. On the other hand, people are becoming more aware everyday about what they consume and put in their bodies. We have access to more and more information, but through this ocean of information, we also get a sense of distrust. This distrust is often directed towards industrial processing where chemicals and additives are regulars on the grocery list. This makes the idea of authentic, handmade bread, very attractive. 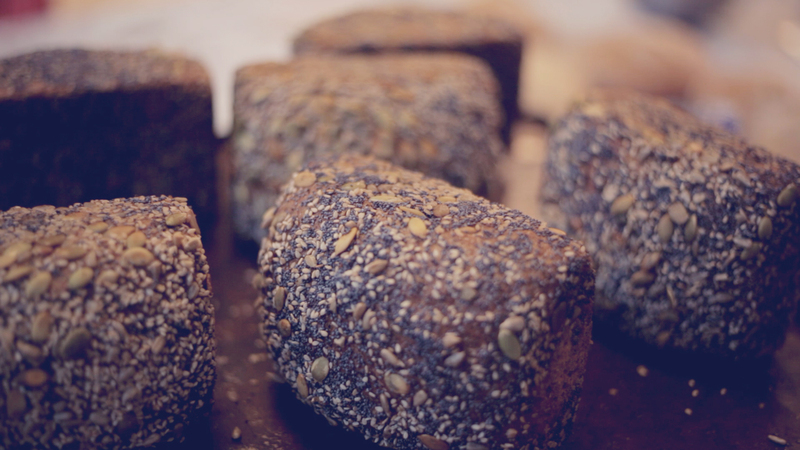 Do you consider the hype around bread positive or negative? Well, hypes result from a flow of money towards what that hype is all about. This will inevitably lead to a greater development in that particular sector, which of course can be positive. These hypes, however, are often also used as marketing strategies, where the intention is no longer to supply a good product for the sake of quality and passion, but just for the sake of money. Shortcuts are then found to create a product that pretends to be good but inherently is not. When the intention is to provide good bread to the people who demand quality, this is a very different story. You can always taste that, you can smell it and you can feel this intention. 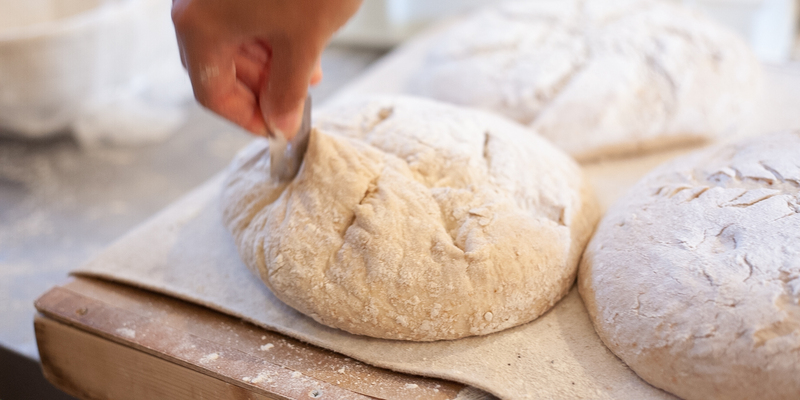 How can you distinguish between good and bad bread? I think this is a personal matter. Since bread speaks to everyone and everybody understands the language of bread, there are many different opinions. For me, a good bread is a bread that has a crunchy crust full of flavour and a soft crumb with some deep aromas, a bread that reminds you of home. But in general, I think a good bread is one where the smell, the feel and the taste tell you the same story. Should good bread be a luxury? Well, it depends. I think bread should be accessible to everyone and proper bread is a humble, but nutritious product. It’s a very precious product because it has everything you need in a way. The energy you need, the minerals, the molecular building blocks we call proteins and of course the satisfying taste of it. But once the industry gets involved, some of these values are lost, because different aspects such as time, money, and simplicity become more important. I believe good bread, in the sense of it being nutritious and having an easy flavour, should definitely be accessible to everyone. But if we are talking about really good bread, where long fermentations, different grains, and more complex techniques come at play; this is a little something extra for those that want to go deeper. The evolution of grain, is the history of humanity. Seems simple; just add water and flour. Elise mixing a large amount of dough. Baking Lab students shaping dough. 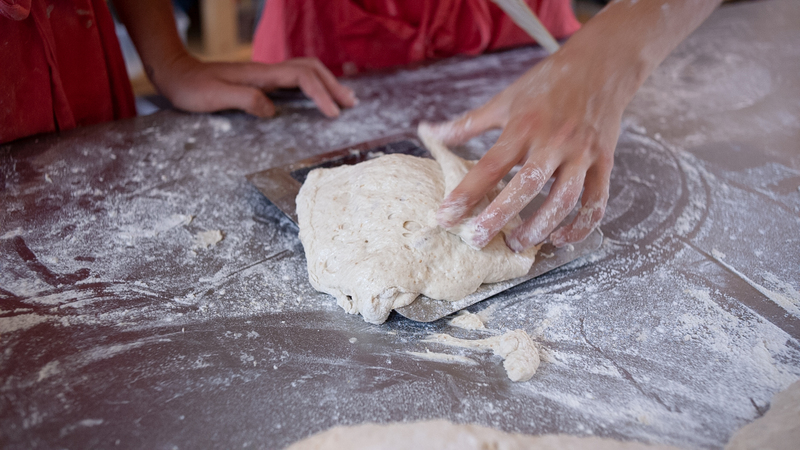 Handling dough is one of the biggest pleasures on Earth. The poke test helps to checkup the fermentation stage. 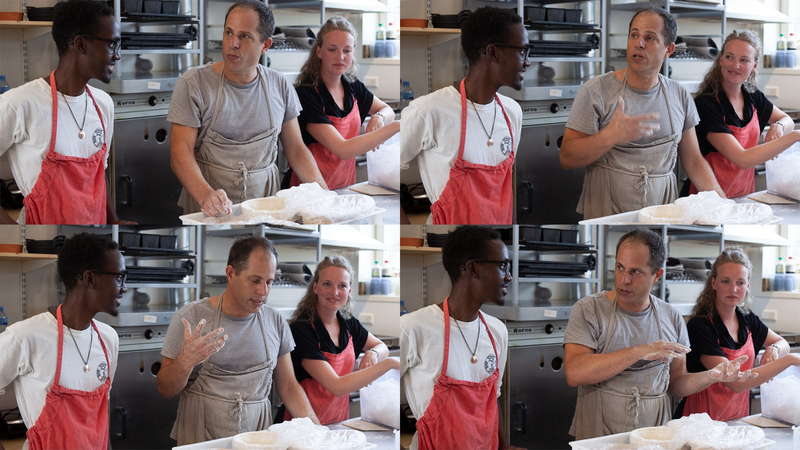 Baking Lab's founder, Jechiam Gural, in action in one of the lab's workshops. A beautiful, freshly baked loaf. 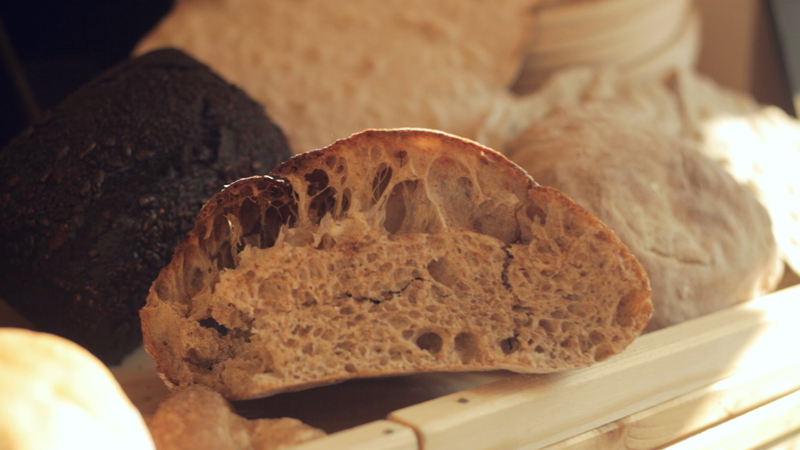 A perfect fermentation creates the perfect crumb. 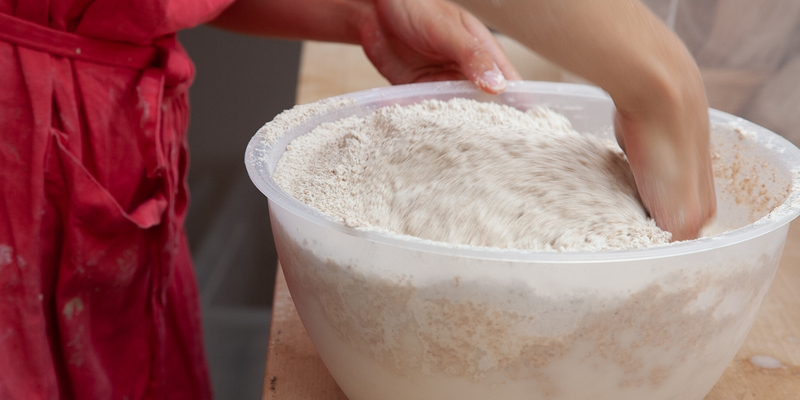 How funny and frustrating can making your own bread be? I think the most important thing to remember here is that you are not working alone. You are working with a living organism that has its own personality and way of working. You have to learn to listen to the bread in order to have a good understanding of what it needs and how it reacts to different circumstances such as temperature and time. You basically become a bread therapist that tries to understand the personality of the dough, with all its yeast cells and bacteria. 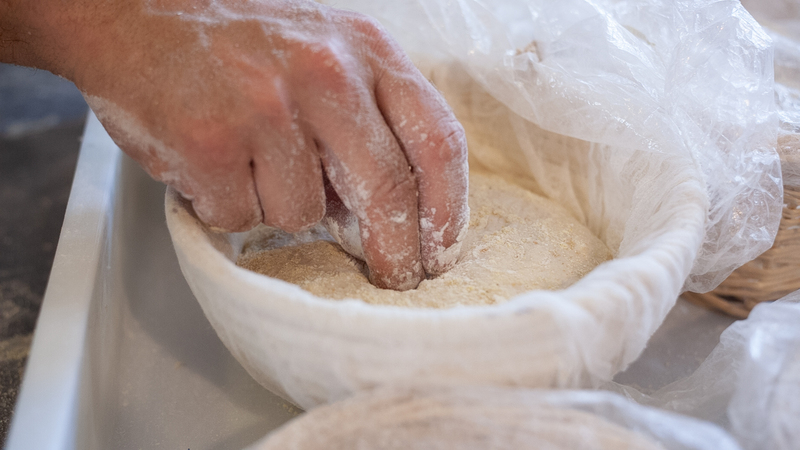 Once you realise that you have to work with the dough instead of against it, that is when it becomes fun and you can begin to start playing around. Do the students get frustrated often? Learning the craft of bread baking can be frustrating because every dough and every bread is different. Sometimes students ask, “Why? What's happening? I did everything as I should have done”. When we lack experience, we do things with our mind and don’t yet have the trust in our senses to know what is right for the bread. Baking doesn’t seem to be as fun as I thought! Of course it is! The fun part is the self-realisation and acceptance of the challenge of working with a living organism. If you are the puppet master it can be fun, but it can also be very fun to mess up and learn from your mistakes. It’s just great to be working with your hands, it’s an active job in which you can play and explore. Why did you go to Baking Lab? It was a decision I did not make with my mind. I intuitively knew I wanted to learn how to make proper bread. The story of bread is something that I feel speaks to everyone as most people grow up eating bread. It’s something inherent to our memories, culture and the history of humanity as well, almost as if it’s set in our DNA. But what I didn’t realise is how deep it goes and how fundamental the things are that happen in the bread. It’s such a beautiful product to be working with because it is a life lesson of balance and a story of water. For me, it touches upon the things I am learning in my biology and sustainability studies of biology and sustainability, which is also why I stayed here. Can you explain to our audience the relationship between bread and science? This is actually a really relevant question. Baking and science go hand-in-hand. Everything that happens underneath the crust and inside the bread throughout the entire process is science; thermodynamics, chemistry and the microbiology of the yeast cells and bacteria that produce the molecules which are essential to the bread. So indeed, what happens inside the bread is about science. People think that knowledge is a fixed thing, that the truth is a fixed thing, but knowledge is a journey. 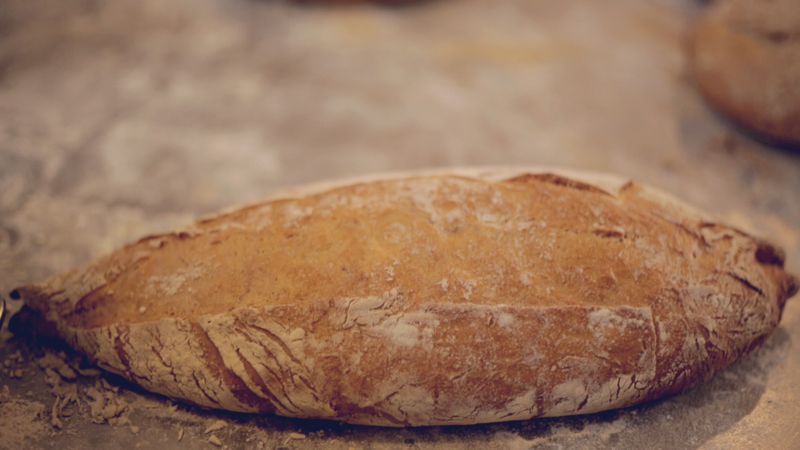 At Baking Lab, we are able to explore this journey through bread. For us, it is a continually running experiment and one in which we change the parameters of time, temperature and ingredients to see how this influences the bread. After we try to understand what happened. Does it mean you follow a scientific method in Baking Lab? Not strictly, but in some ways, it resembles the empirical cycle. We have a hypothesis about, for example, structure and will then test this hypothesis by adjusting the procedure. The result will then come out of the oven, after which we will see if the changes resemble what we predicted with our hypothesis. 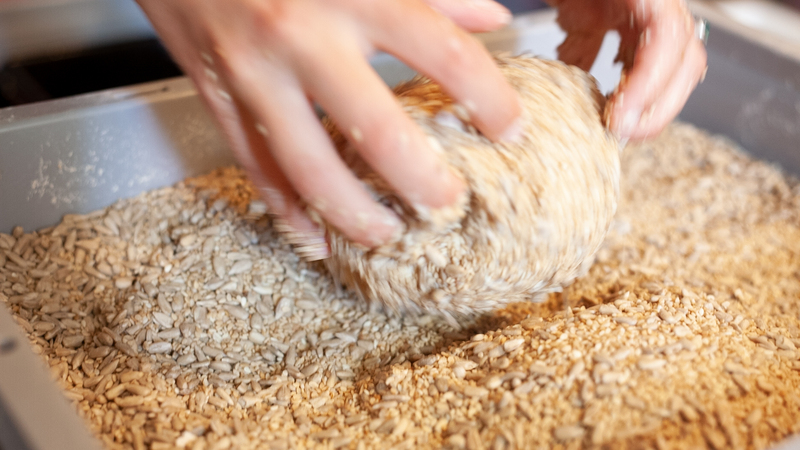 We continuously test the effect of changing parameters such as fermentation times, using the kneading machine, going for a no-knead method or different percentages of water with different flours, anything really. We are all about exploring. We continuously ask ourselves questions, and science is about asking the right question, such as those that at first might seem stupid but are so inherently intelligent because they go beyond what we already think we know. So a scientific mind somehow is also about releasing what you already know, to be able to understand what really is. Sounds a bit philosophical really! Eventually, what we learn is what we teach people in the courses and even the act of asking questions is what we teach them. We work in a bakery but we are students as well, so it’s a journey that we do we together. Ultimately, we are students who work with students that come to learn at our workshop and we provide the framework for people that want to learn. For instance, we sell one bread which is called ‘student bread’. It’s not specifically for students but it’s made by students that work in the bakery. 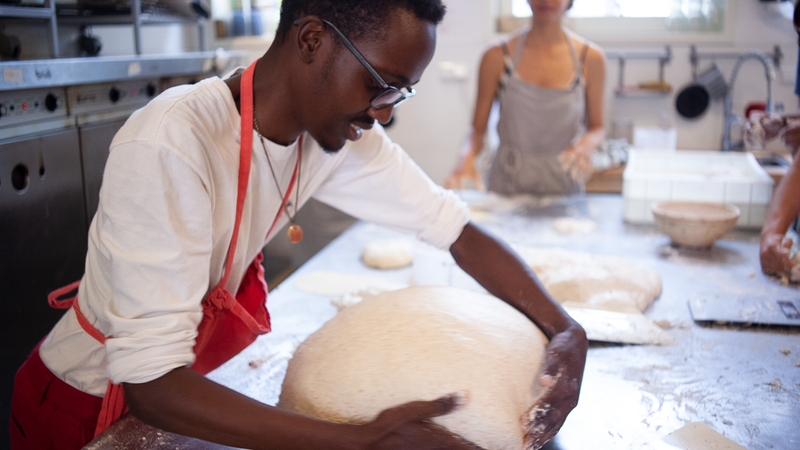 It resembles how we work, as we connect students from different fields such as physics, biology and philosophy and all of them can implement their knowledge into our bread. 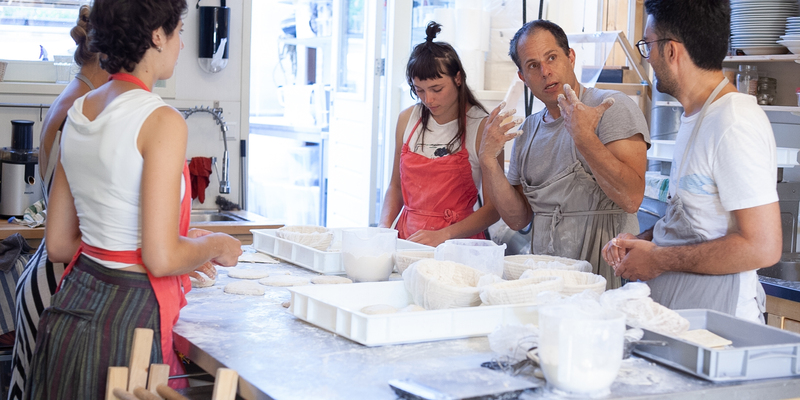 What makes Baking Lab a nice place to learn the art of baking? 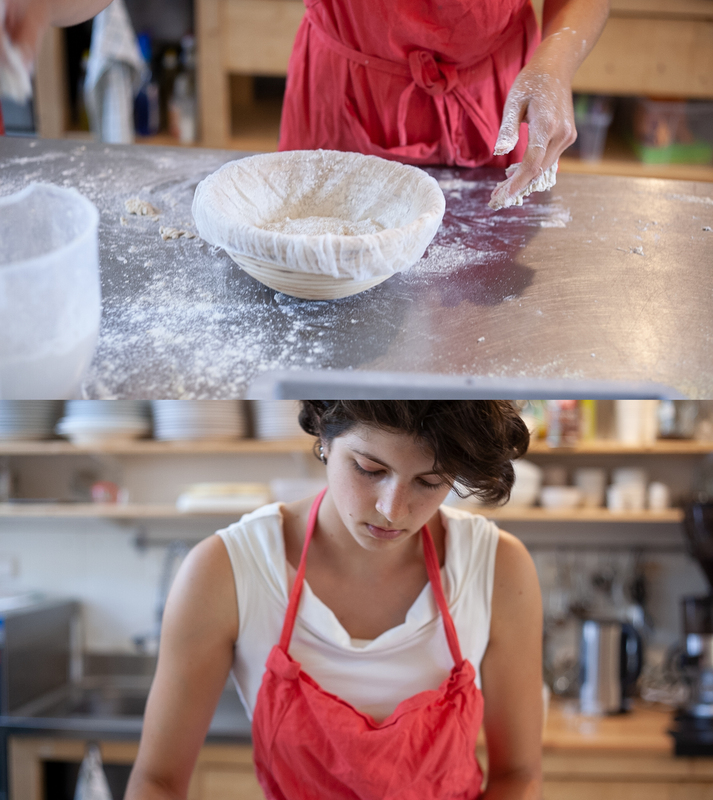 I think Baking Lab is a special place to learn as the focus lies on experiencing the dough and the bread for yourself. You get a feel for the practical side of the baking, as well as a taste of the in-depth knowledge of what the dough is all about. However, one important thing which we learned is that, and I quote Jechiam now, “The fact is that you’re going to forget the facts”. This realisation encourages us to move away from the facts and create a story that makes sense and one that everyone can understand. It is very much about experiencing and working with your senses and learning that you yourself can become an expert if you become aware of what you are doing. We introduce you to your own experimental toolkit: your hands and your senses. What do you see? What do you feel, smell and even hear? We respect the resources that we have and the products that we use. We are doing a lot with waste products lately. Really, waste is an easy term to describe our laziness and our lack of creativity. Waste is only waste when you don’t know what to do with the product you are left with, out of convenience you then call it waste. We try to think about how we can give these products a new destination. So for example, when we make juices, the fruit pulp that most people consider waste is actually full of fibres and nutrients. We now add the pulp to our bread and pies. Even the heat doesn’t go to waste. The residual heat from the ovens is used to cook with and the warmth from the business is transported to our little greenhouse and compost. We think it’s a pity to lose the smell we generate, so we created the smelling pole from which the smells of the oven are blown onto the street where people can smell freshly baked croissants and bread. 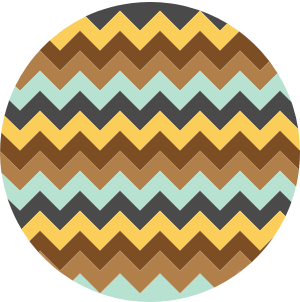 We believe that circularity and sustainability can be fun and don’t have to be obligatory. The bakery itself is the embodiment of our philosophy of experience, with its smelling pole, pull-up elevator and open kitchen. In the end, for us, it’s about the interaction and connection between the knowledge, the people that work here and those that come and want to learn. 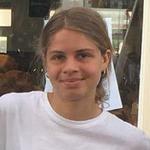 Elise de Jong is a final year student in Sustainability Sciences in the University of Amsterdam. When her hands are not dirty with flour, they are covered in climbing chalk when she goes bouldering. Why should you learn how to bake? There is little that is more pleasurable than eating and sharing bread baked by yourself. 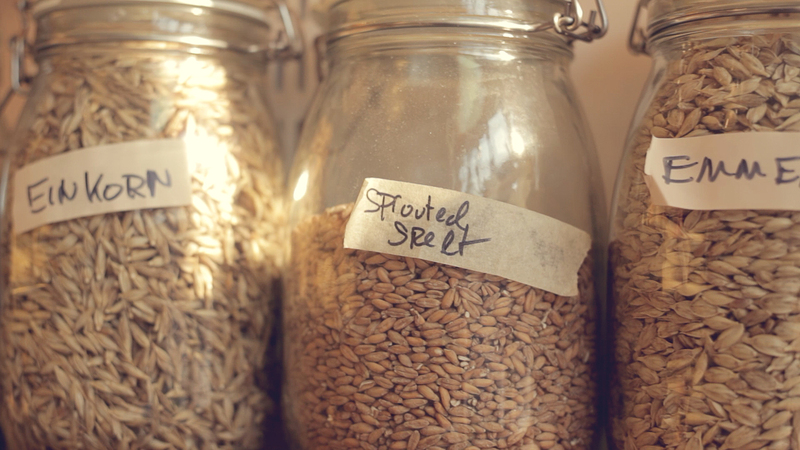 Discover the fascinating scientific process behind the most essential type of food. Pioneer handmade produced over industrial supermarket bread. 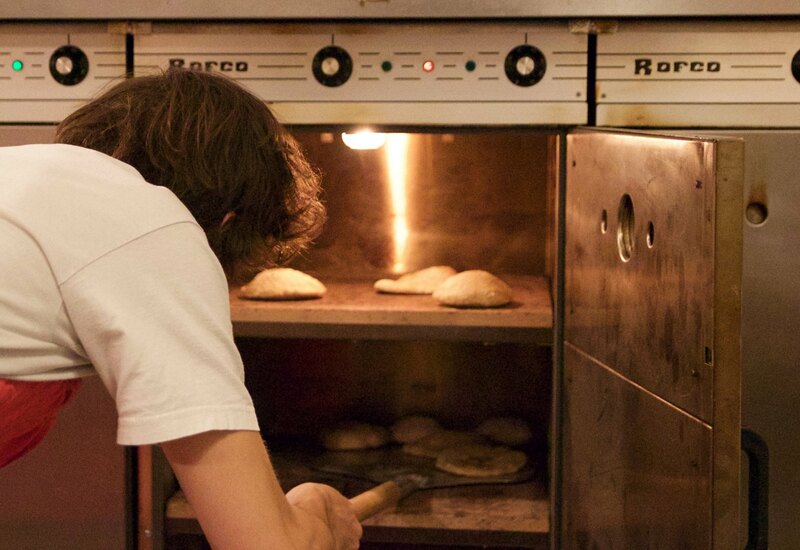 Relax with the mantra of shaping a bread. Discover the interesting relationship between bread and human history.